Mango fruit is one of the nutritionally rich fruit with unique flavor, fragrance, taste, and thus promoting health benefits to human’s .This is also called as super fruit. Mango is one of the delicious tropical seasonal fruit and believed to be originated in the sub-Himalayan plains of Indian subcontinent. 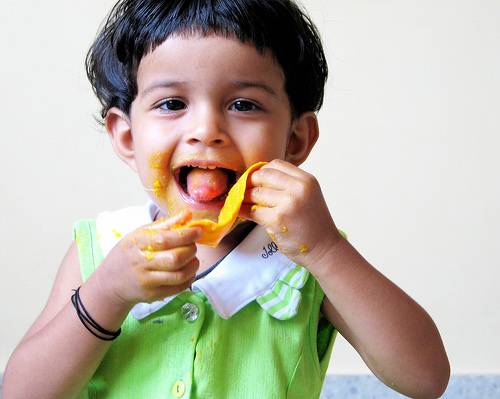 Mangoes provide you with a group of digestive enzymes that support your body’s ability to break down your food. There is some evidence that these enzymes can even reduce the burning sensation associated with acid reflux, and the aforementioned pectin in fiber also helps to prevent constipation. The vitamin C and fiber in mangoes have been proven to help lower levels of LDL (i.e. ‘bad’) cholesterol, thereby lowering your risk of heart disease, heat attacks and strokes at the same time. In addition, mangoes contain both potassium and magnesium, which are involved in regulating blood pressure and keeping it within healthy limits. Next post: If You Have These Symptoms, Instantly Go To the Doctor! Otherwise After 10 Days May Be Too Late!